3/18/17: Company 20 was dispatched to a two vehicle side impact collision on Chaplin Road and the southbound 155 mile marker intersection. 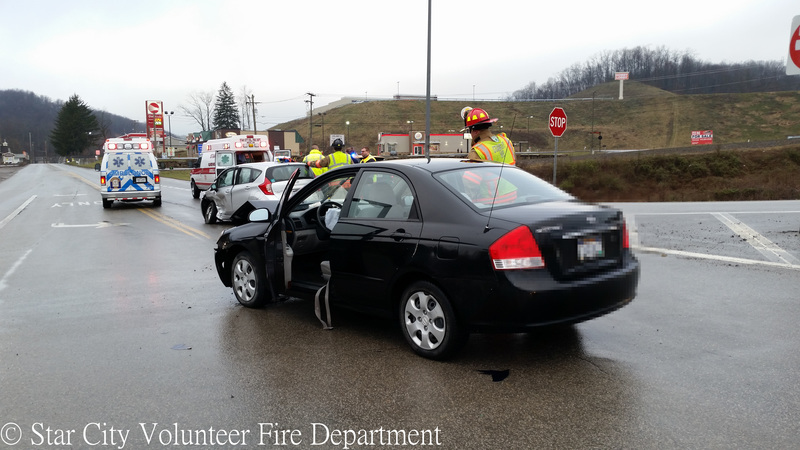 Squad 203 and Medic 29 responded to the incident along with MonEMS 74 and 76 and West Virginia State Police. Upon arrival crews found a two vehicle side impact collision with moderate damage to the vehicles and occupants still in the vehicles. No extrication was needed to access patients and so crews from all responding agencies proceeded to set up traffic control, stabilize and package three patients for transport, provide scene shielding/safety, and mitigate fluids leaking onto the roadway. After PD and EMS cleared from scene Squad 203 continued providing traffic control and scene safety/shielding until the cars could be removed from the roadway and then returned to service. 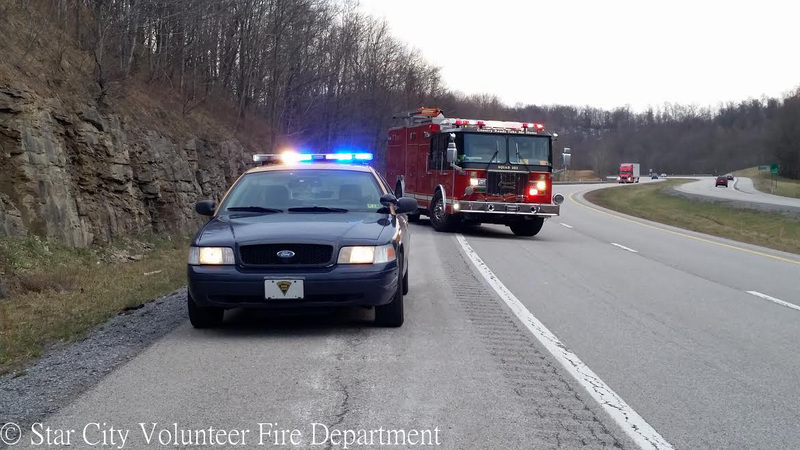 3/13/17: Company 20 was alerted for a high speed, single vehicle MVC with rollover in the area of mile marker 159 on I-79N. Squad 203, Unit 202 and Medic 29 responded to the incident and upon arrival found one vehicle off the roadway on its top, but single occupant out of the vehicle. Due to confusion by motorists unfamiliar with the area and the incident being in such close proximity to the WV/PA state line our Pennsylvanian mutual aid department (Mount Morris Co. 18) received the call first and were on scene prior to Co. 20 units working with EMS to stabilize the occupant for transport. Company 20 provided incident shielding and traffic control until Mon EMS transported the patient to Ruby Memorial and the vehicle was able to be removed from scene. 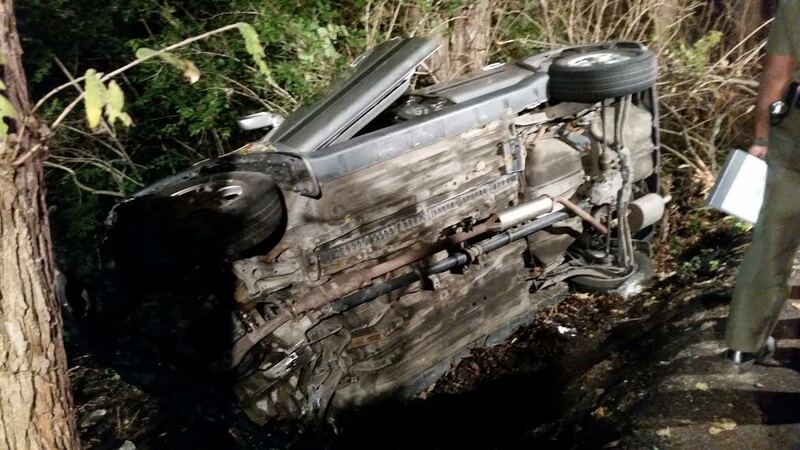 10/17/16: Company 20 along with Station 20 and Company 14 were alerted to the area of West Run Road and Stewartstown Road for a single vehicle MVC over an embankment. 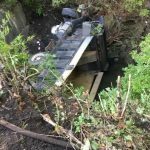 E-201, S-203, and M-29 responded to scene and found a single vehicle over an embankment and on its passenger side with one injured patient present. 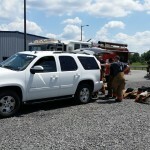 After stabilization all hands began working to simultaneously access, extricate and treat the patient. Once extricated the patient was packaged and hauled up the embankment via stokes basket and backboard to the awaiting ambulance. 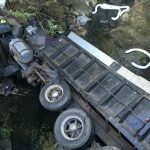 All equipment was then returned to service and the scene was turned over to law enforcement and towing personnel for investigation and vehicle recovery. 9/19/2016: Company 20 was alerted to the intersection of Suncrest Towne Centre Drive and Route 705 for a two vehicle rear-end type MVC with heavy front end damage. Squad 203 and Unit 202 responded and while en-route received updates from MECCA 911 of possible fire in one vehicle and questionable access issues to a patient. MON EMS arrived on scene without access issues to the patient and found no fire present at time of arrival. 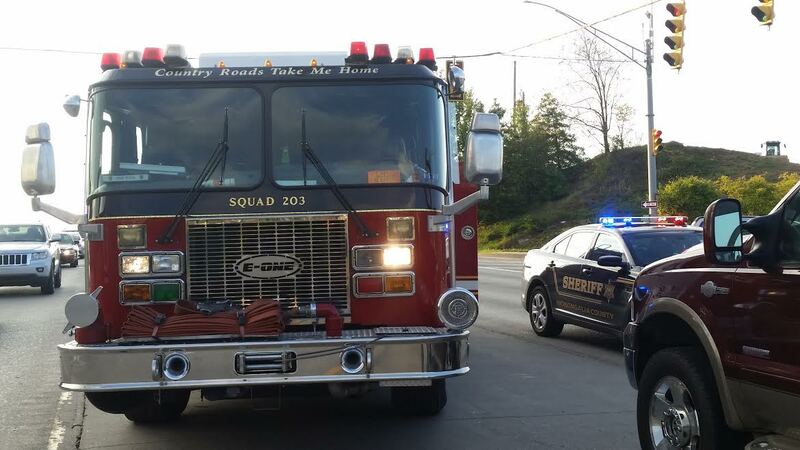 Upon arriving on scene Squad 203, Unit 202 and their crews gained traffic control/set-up safety zone for emergency personnel, stood by for fire suppression, assisted with patient care, and provided fluid and debris mitigation. One patient was transported via ambulance and one patient was treated on scene as a result of the incident. 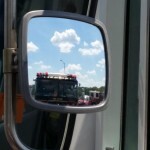 While on the road remember to be mindful of your surroundings, DO NOT drive or allow anyone you are riding with to drive distracted, DO NOT drive under the influence of drugs and/or alcohol and ALWAYS WEAR YOUR SEATBELT. 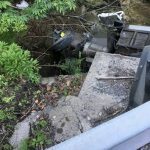 6/9/16: Members of Companies 20 and 16 along with Monongalia County H.I.R.T and Monongalia County EMS were dispatched to Earl L. Core Road/Tyrone Road to assist Company 12 with a Heavy Rescue involving a tri-axle dump truck over an embankment approximately 30 feet into a creek. Crews on scene were directed by incident command to perform multiple tasks including traffic control, stabilization of the vehicle, patient care, extrication and packaging of the driver, leaking fluid mitigation and hazmat operations. Thanks to the actions of all crews on scene the incident was managed quickly and efficiently with all companies returned to service without incident. Co. 20 would like to thank all of our members for their dedication, as well as all mutual aid companies who have assisted us in 2015. Slide the City, a 1000 foot waterslide that travels the country, is in town at Mylan Park today! Ambulances 27 and 29 are providing primary EMS for the event until 1900. 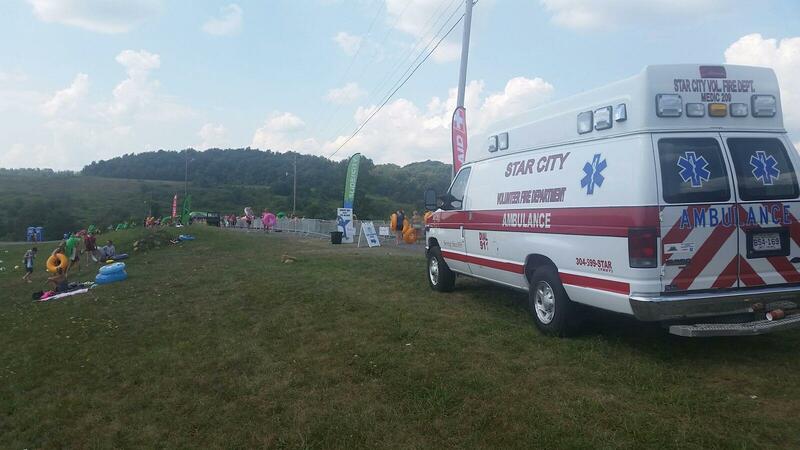 Star City EMS is currently looking to hire EMTs and Paramedics. Both full time and part time positions are now accepting applications. Those interested can obtain further information by calling 304-599-1539, or by filling out the application below. 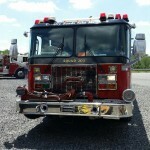 The final day of Mountainfest was the biggest and busiest day for the members of SCVFD/SCEMS. As thousands of motorcycles and spectators attended the various shows and activities of the rally many people needed the assistance of SCVFD/SCEMS. Thankfully many of those that Company 20 contacted only needed general assistance and were able to refuse/did not need transport, but those that did need treatment and transport were expertly treated by the members of SCVFD/SCEMS. Not only did Company 20 remain able to provide high level care and coverage for Mountainfest, but also Company 20 was dispatched to an industrial structure fire in our 2nd due. Crews from Engine 201, Squad 203, Unit 202, and Unit 206 provided back-up interior attack crews, RIT, rehab and accountability for the incident. Due to the quick response of Co. 17, 20, 23 and 13 the turbine fire was able to be contained and extinguished quickly and all units were able to clear from scene within approximately an hour and a half of dispatch. 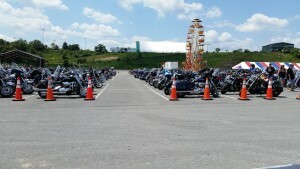 Day 2 of Mountainfest at Mylan Park continued to be as busy for SCVFD and SCEMS as day 1. Company 20 personnel continued to provide primary EMS and Fire coverage for the event, able to respond for other emergencies dispatched in the county by MECCA, and available for emergent and non-emergent transports via the SCEMS transport line.